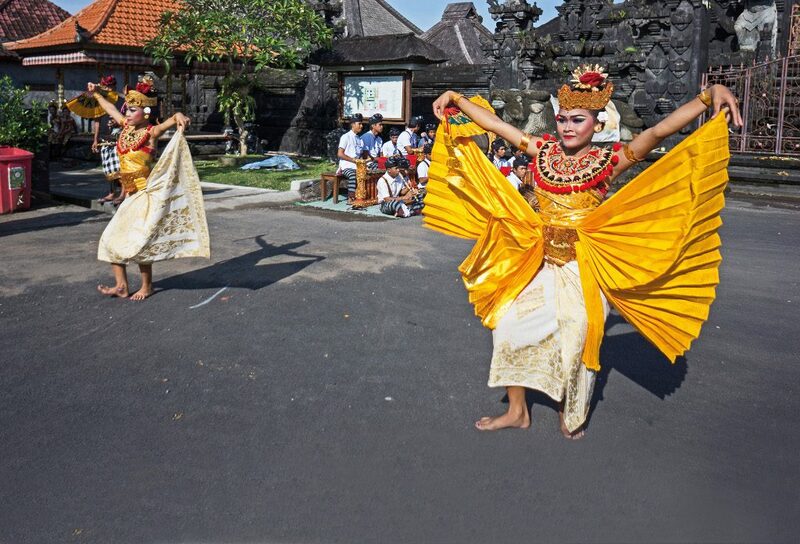 The Nandir Dance originates from Taro Village, just north of Ubud. I hadn’t heard of it until someone mentioned that it was performed as a reconstructed ancient dance at the Bali Arts Festival 2016. It wasn’t until I was working in Taro, documenting an event, when I stumbled upon a group of dancers wearing bright costumes getting ready to perform. 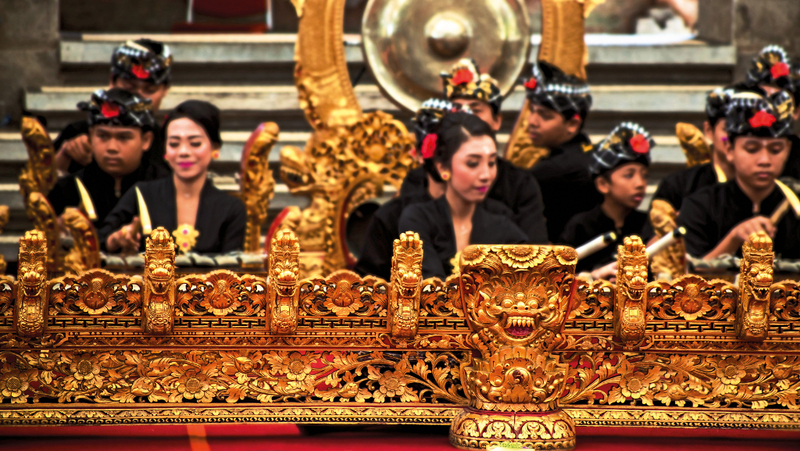 The sounds of the Nandir Dance were foreign to my ears, but the harmony of the gamelan (Bali’s traditional orchestra) and the dance routines captured my heart instantly. 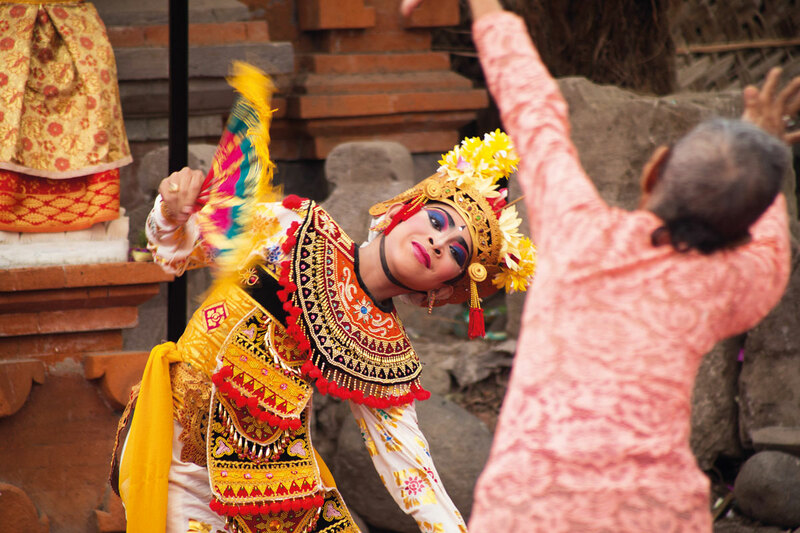 The dancers and the gamelan musicians were about to begin performing at the outer court of Gunung Raung Temple, one of the most sacred areas of the village. When the musicians started to beat their instruments, the music and the scene suddenly transported me to Bali’s past, an experience that has been described and written about by great writers in several books about Bali Kuno (Old & Ancient Bali) and about how Balinese Dance was performed in the era of kingdoms. I was intrigued to gather more information about the dance. A friendly approach to one of the musicians developed into a conversation on how I knew that the dance that was performed was the Nandir Dance. He told me that the dance was passed down from their ancestors and it has been performed in the village as part of sacred rituals. The late Ketut Cemil, a gentleman from the Taro Village is known as the Nandir Dance specialist. He started dancing at the tender age of five, and during his lifetime he performed in many places. In 1992, he performed in Paris and received an award from the Embassy of the Republic of Indonesia in France for his efforts in introducing Indonesia’s art and culture, and also for his passionate and lifelong dedication towards Balinese dance. While the music slowly infused the setting with joyful feelings and calmness, the dancers were moving dynamically. A group of beautiful teens dressed in two types of costume presented the two genders, female and male. Some dancers presenting female characters had scarfs flowing down from their waist to the knees, as if they had wings. The attractive dance portrays a lovely interaction between butterflies searching for love. The flirty routines of the male butterflies performed by the dancers countered the graceful but inviting routines displayed by female characters. Meanwhile the music’s rhythm and harmony seemed to be composed to invigorate playfulness yet also a romantic feeling. 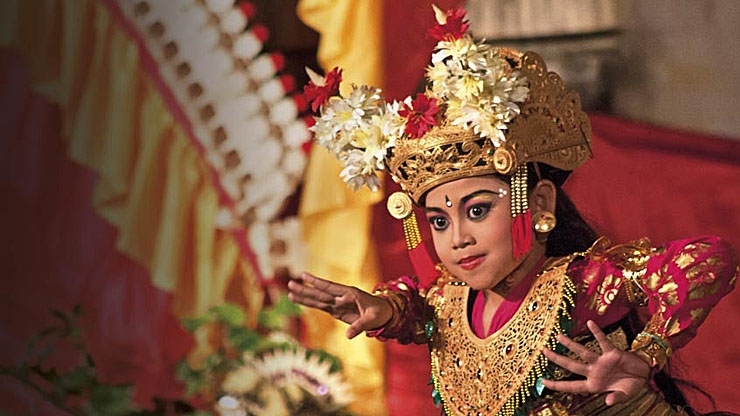 At first, for those who have seen many Balinese dances would feel that this dance is similar to others, such as Oleg Tambulilingan or Kupu-Kupu Tarum, however from the full performance one can see the uniqueness of Nandir Dance. There are some routines that differentiate this dance from others even though they all tell similar love stories and are also inspired by nature’s beauty.